Save yourself time and effort with an app that lets you perform actions with a tap. 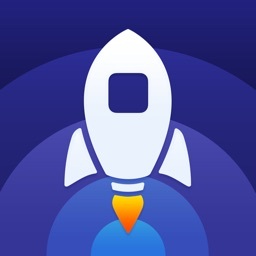 Alloy – Launcher and Automator provides built-in and customizable actions, one-tap access to dynamic favorites, a notification center widget, and option to add shortcuts to your home screen. Create an action. Creating an action can be done by tapping the plus icon at the top or an empty spot on the app screen. 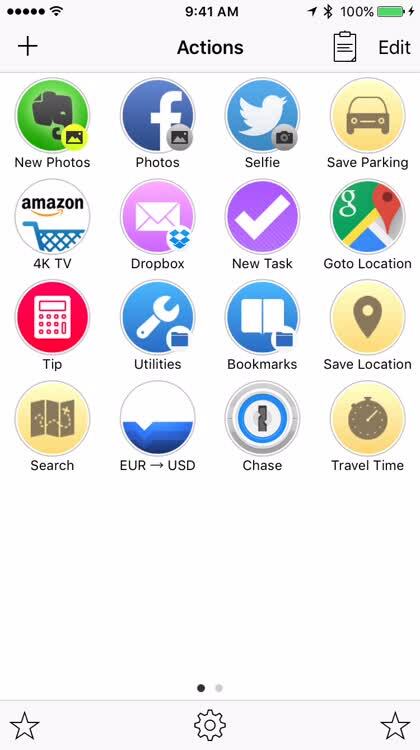 You can then view all actions and select one to use, review those only for apps you have installed already, or create your own. Tap an action. When you are ready to use a shortcut, just tap on it. If you long-press on an action, you can share it, copy it, or add it to your home screen. You can also rearrange the actions in the order you would like them to display on the app screen. Use dynamic favorites. 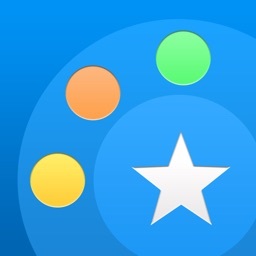 Alloy will dynamically generate your favorites, which can be accessed by tapping the star. For those actions you perform the most, your habits, and your location, those favorites are automatically created for you. 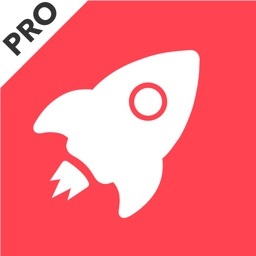 Alloy – Launcher and Automator combines the ability to perform actions using a tap with dynamic favorites, all so that you can stay better organized and save time for things you do frequently. 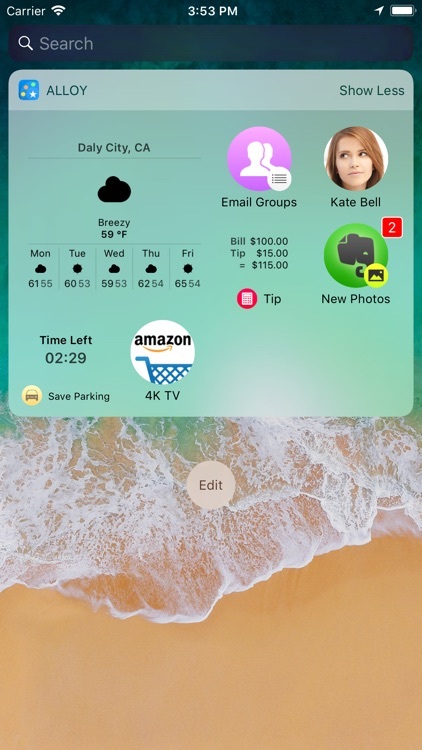 With a widget for your notification center, app customization, and backup options, get ready to save yourself some effort. Alloy – Launcher and Automator is easy to use and has many flexible features. Why spend time and effort on tasks you do all the time when they can be automated? Calculate a tip, upload photos to Dropbox, find a spot on the map, post a selfie on Twitter, or send a group message, all with a tap. 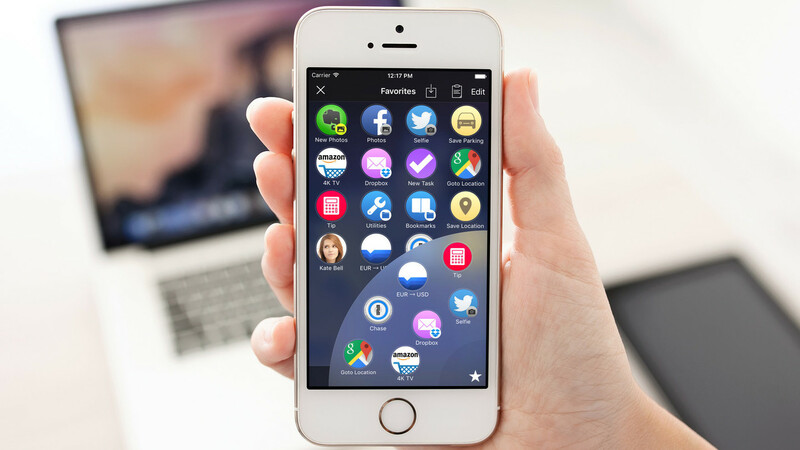 Getting tired of using tons of apps doing the same activities every day? 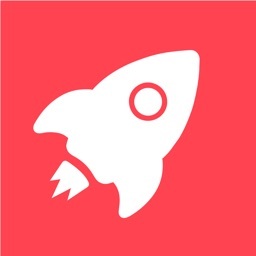 "Alloy - launcher and automator" is the only solution to simplify your life - you can do almost everything in one app on a tap. 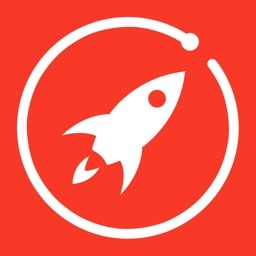 "Alloy - launcher and automator" is all about automating your day-to-day activities. Whether you just need to launch an app or automate your workflow - Alloy makes it simple and handy with just one click. So, if you need to post today's photos with added watermark to Facebook, send canned message to someone, save and track your parking place and time, etc. - just create corresponding Actions and use them again and again. "Alloy - launcher and automator" is suitable for any user. No matter who you are, a newbie, or an experienced user, you will find Alloy handy and fun to play with. 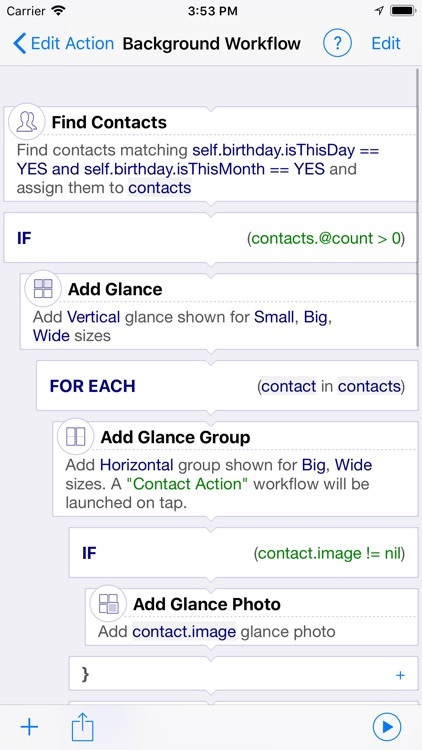 Newbies can easily make simple Actions in minutes just by defining simple workflow combining several tasks together. Experienced users can build more sophisticated Actions using loops, conditional operators, Web Services, workflow calls etc. "Alloy - launcher and automator" is wherever you need it. 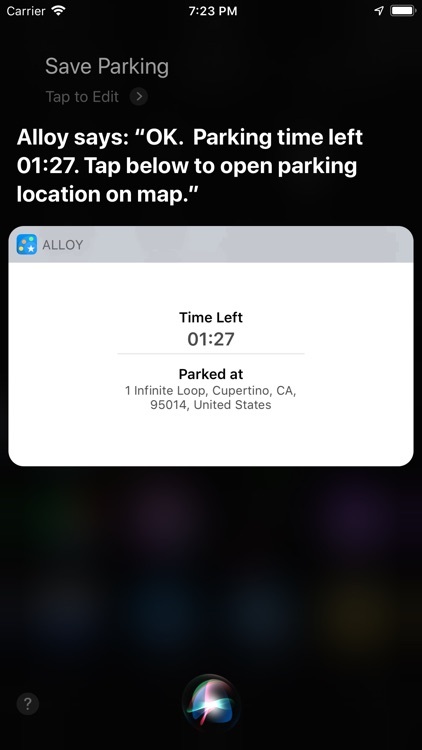 You can make Siri Shortcuts for any Alloy's Actions and then launch those Actions from Siri by speaking certain phrases. 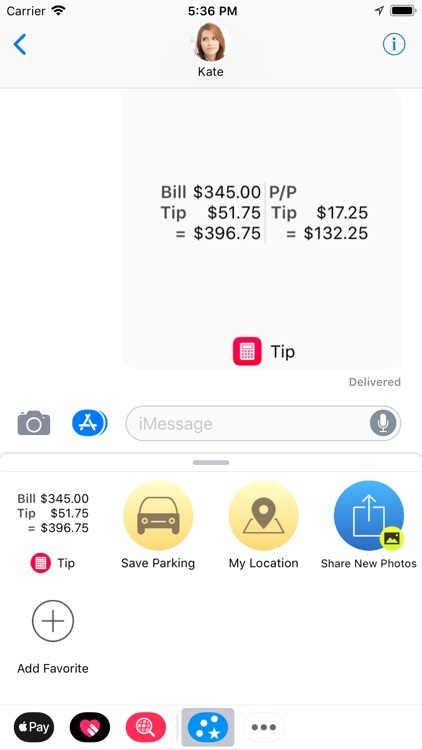 It is even possible to make Siri Shortcuts that run in background without leaving Siri... You can use Alloy right from Messages to share Action's result (e.g tip calculation) with friends. 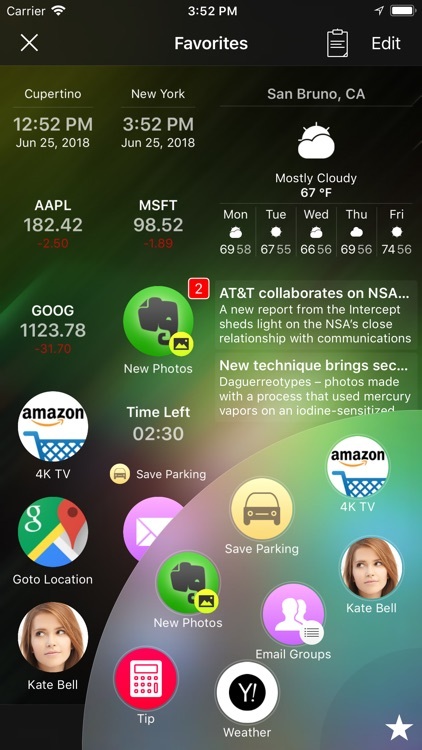 Or you can use Alloy's Widget in the Notification Center to get quick access to the Favorite Actions etc. If you experience any difficulties using Alloy or building your Actions - just reach out to the Support. Our Support team is always ready to help you! With the right set of instructions and help, you will be able to create your own actions that would make you feel like a true Master of Actions. Open up your mind and release your inside genius! 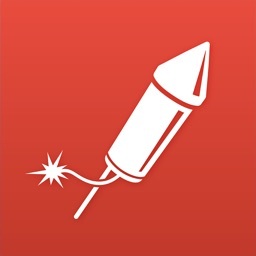 ● Advanced launcher with dynamic favorites based on your habits, location, and usage statistics. ● Sophisticated workflow engine, which allows to build Actions utilizing REST Web Services, system and Cloud services, installed apps, etc. You can either use ready-to-use Actions from built-in Action Directory or build your own Actions using simple yet powerful Action Editor. Alloy allows you to create custom Actions that will meet your specific needs and desires. 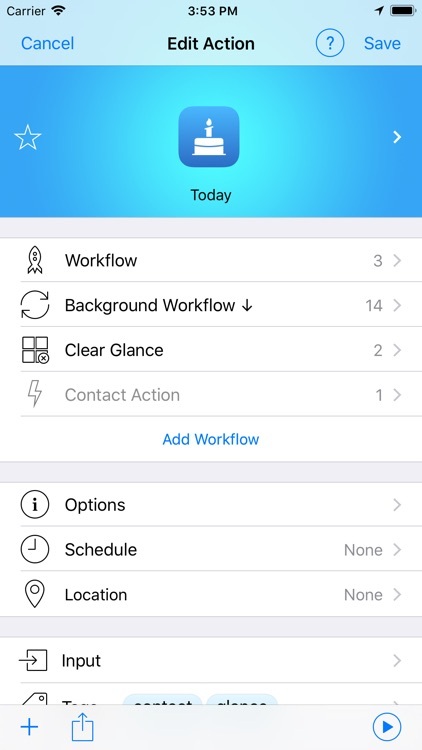 You can customize Action's workflows, background, layout, colors, folders, and so much more! If you are ready to create your first customized Action, take a look at our “Alloy Getting Started Guide” or ask our Support Team any questions that may help you. Alloy eliminates the need to browse through several pages full of apps to find an app or Action to launch - dynamic Favorites provide you just with the right set of needed apps and actions based on your habits, location, and usage statistics. You can even use Siri Shortcuts to launch Actions by voice. It is possible to use Alloy Favorites right from any other apps by employing Alloy Widget. 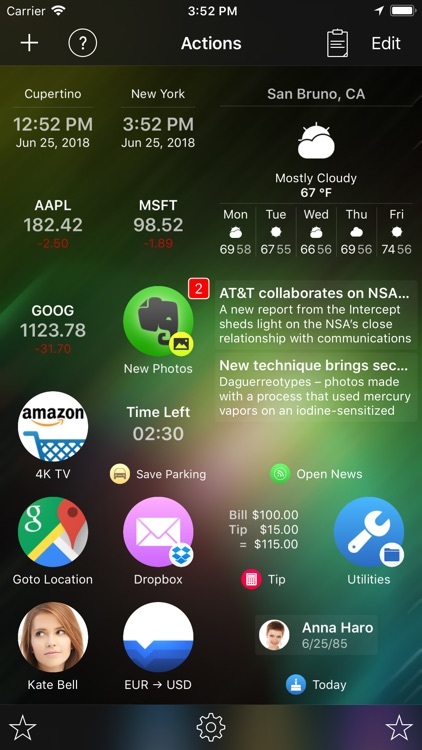 Just pull-down the Notification Center, navigate to the Alloy Widget and tap to a desired action to launch it. Take some time to teach Alloy about your needs and let Alloy greatly improve your life by automating your day-to-day activities! 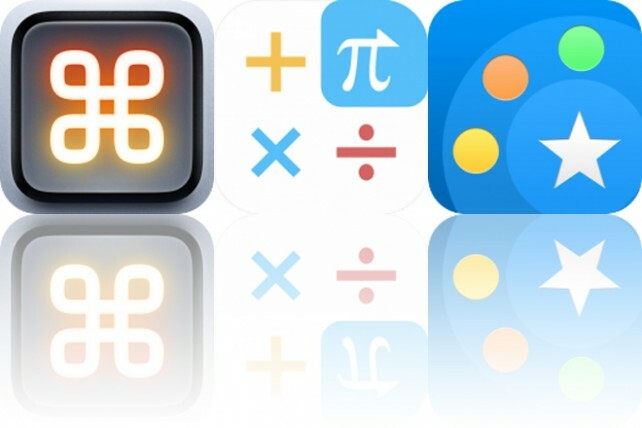 Today’s AppsGoneFree list includes a remote keypad, a calculator, and a task automator. 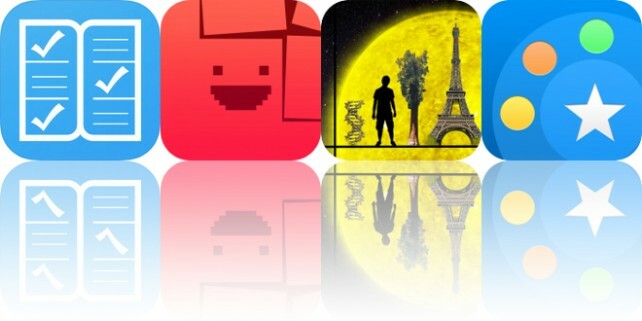 Today’s AppsGoneFree list includes a task manager, a puzzle game, and a reference app.